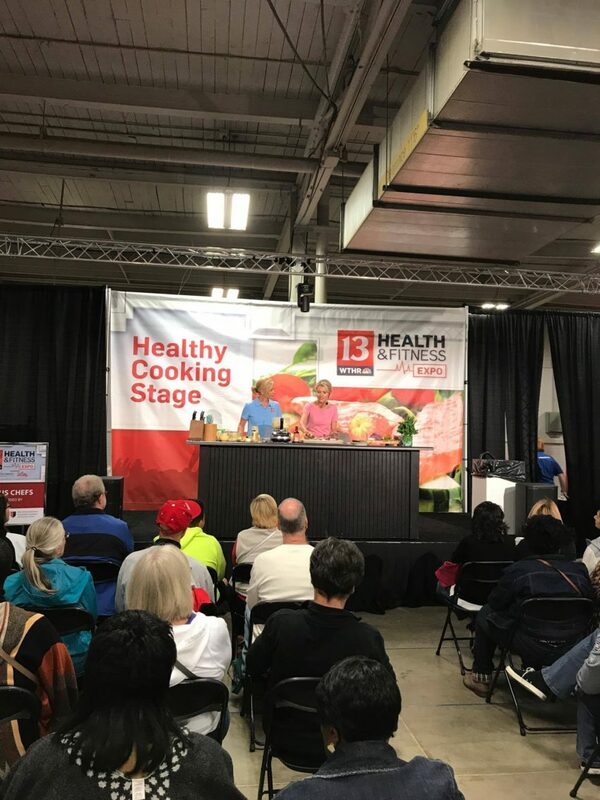 I demonstrated a hummus similar to this at the WTHR Health & Fitness Expo a few weeks ago. There were 75 people in the crowd! …the audience was filled, and people were even standing around. I take it so seriously to be able to speak to precious people. I feel like there is so much noise in our world today, so, if someone blesses me with their “ears” I want to deliver a message that matters. It was special to see so many people interested in treating their temple better. I was honored to be a spokesperson for Lilly for Better Health. 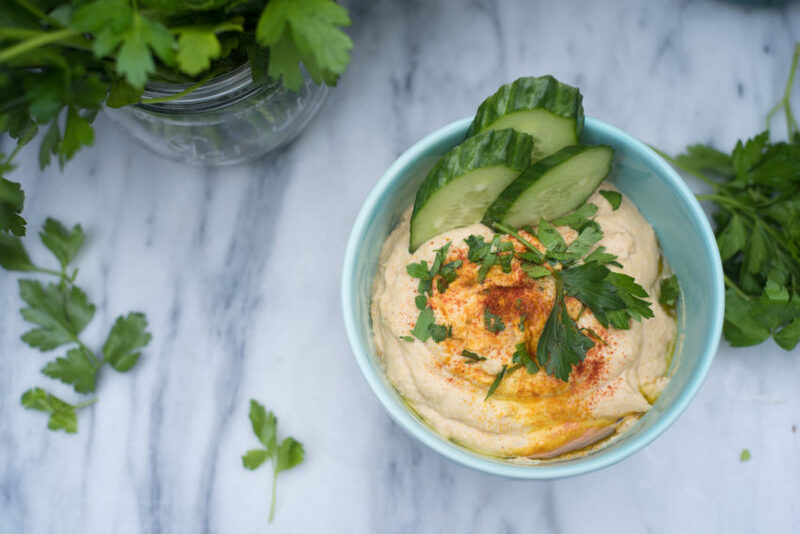 I love to eat hummus with English (sometimes called Hothouse) cucumbers sliced on the bias so they make a more dippable “chip”. They are refreshing, crunchy, and delicious. 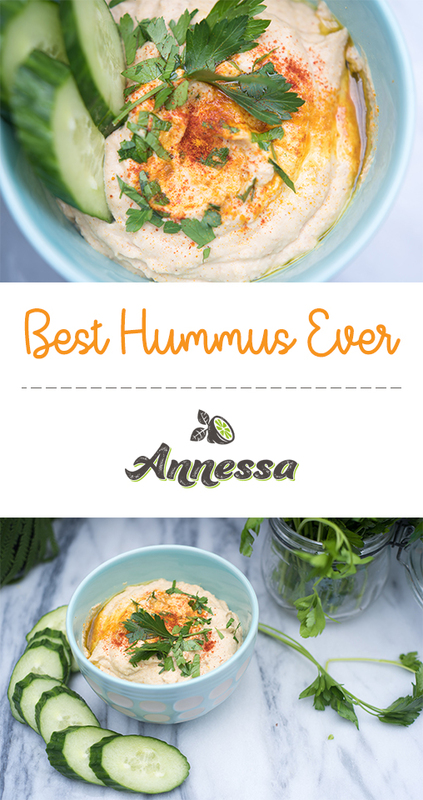 Hummus is also great with carrots, sliced bell peppers, and cauliflower. 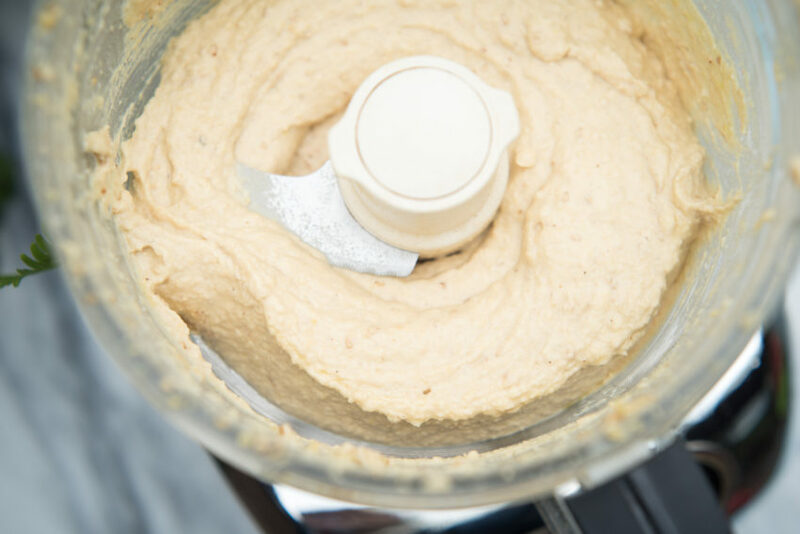 You can use it as a spread, a dressing, a sauce for another dish. I will try to post some of those for you! Do you like hummus? It can be expensive to purchase in-store, and it’s SO easy to make! This recipe can be doubled easily. 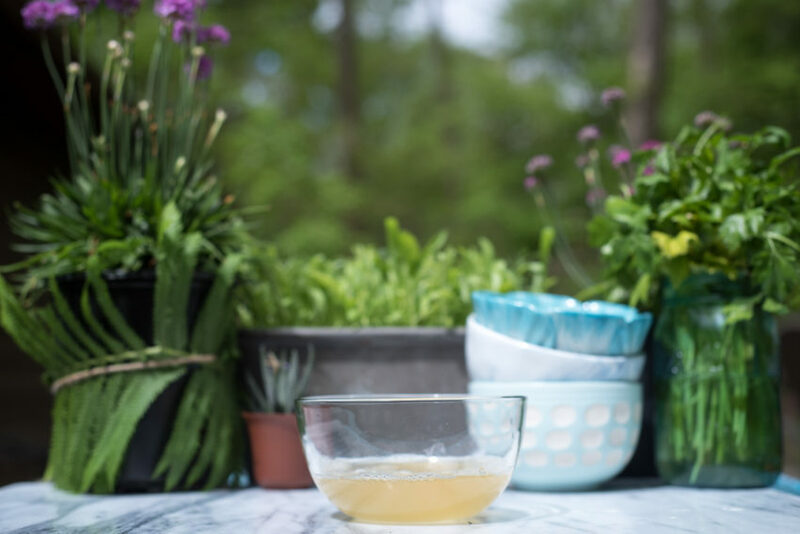 I would love to connect with you on Facebook, Instagram, Twitter, and Pinterest too! 1. 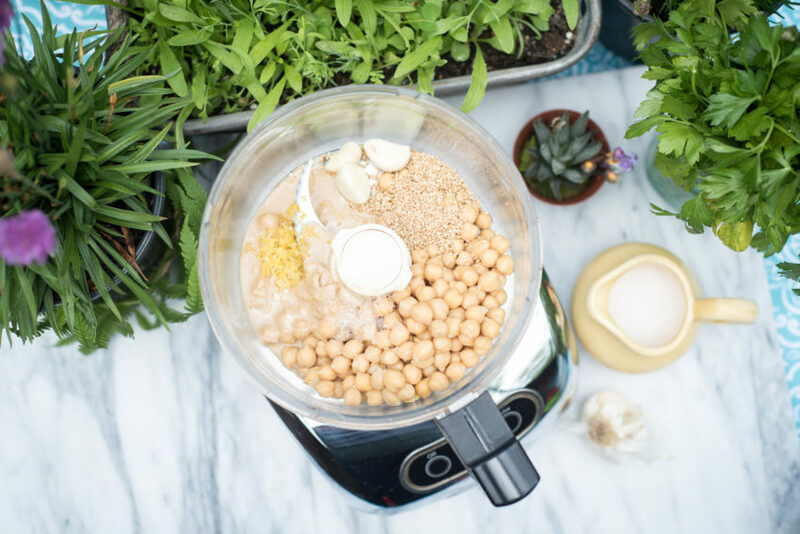 In a blender or food processor, combine the garlic, olive oil, sesame seeds, tahini, lemon juice, salt, and chickpeas. 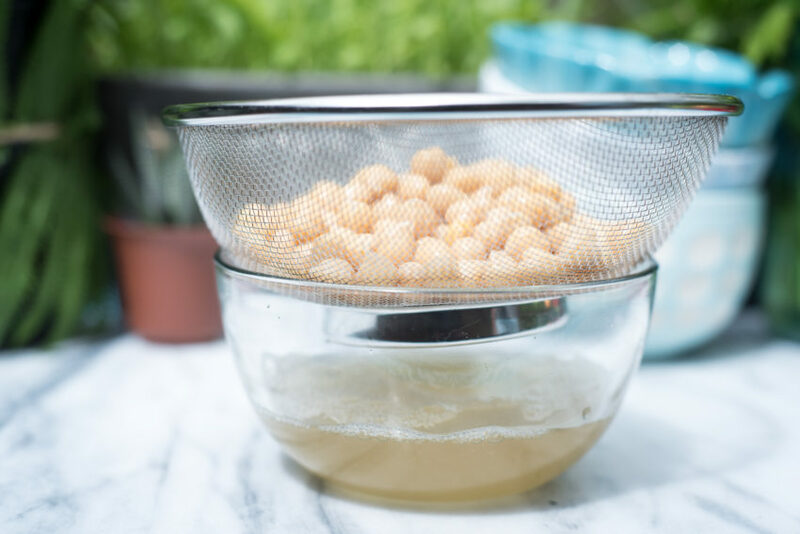 Blend, then slowly steam in reserved chickpea liquid until hummus reaches desired consistency. 2. Scoop the mixture to a bowl. Sprinkle on parsley and serve. Hummus will keep in the refrigerator in a sealed container for 4 days. Enjoy! 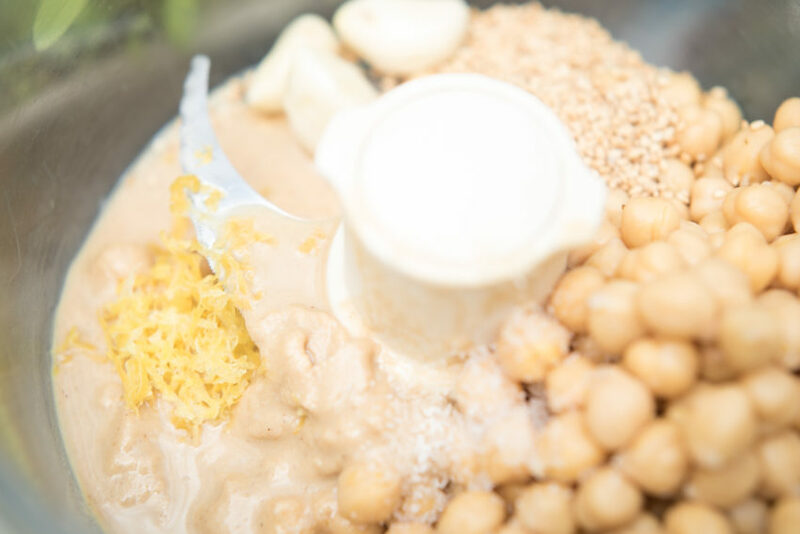 Instead of the liquid from the chickpeas I use about 1/2 cup of plain Greek yogurt. It is super creamy, tasty, and bumps the protein up a tad. Thanks for the recipe! Very tasty!! Elizabeth, what a great way to change it!!!! Love that idea. So happy you enjoyed it!